In the summer of 1973 a twelve-year-old boy from Brooklyn embraces his adventures with his country buddies. 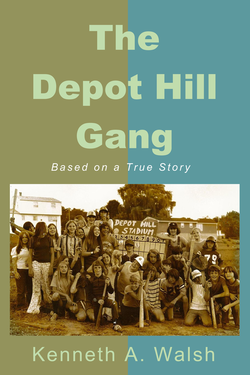 The Depot Hill Gang tells the true story of a group of kids bonding together while building their own field of dreams out of a cornfield to play sandlot baseball. "We all will never forget those great moments playing sandlot baseball as a kid. Ken captured those special times. The Depot Hill Gang learned many lessons of life through the game of baseball that cemented their adulthood."